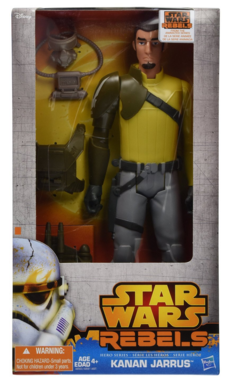 Star Wars Hero Series 12" Kanan Just $4.97! Down from $16.99! You are here: Home / Great Deals / Amazon Deals / Star Wars Hero Series 12″ Kanan Just $4.97! Down from $16.99! Star Wars Hero Series 12″ Kanan Just $4.97! Down from $16.99! Got a Star Wars fan? Check out this great Christmas gift idea from Amazon! Star Wars Hero Series 12″ Kanan is just $4.97 down from $16.99! Get yours now before the price changes!